Baby Photography is captured when baby is between three months and one year old. After a baby is one month old it’s development goes through many stages, from lifting head, smiling responsively and laughing, to bearing weight on legs, grasping objects, playing with own hands and feet, rolling, and sitting up without support. Having a professional photographer to capture your baby’s new developments and growing personality is beautiful way to remember these moments and keep them for always. 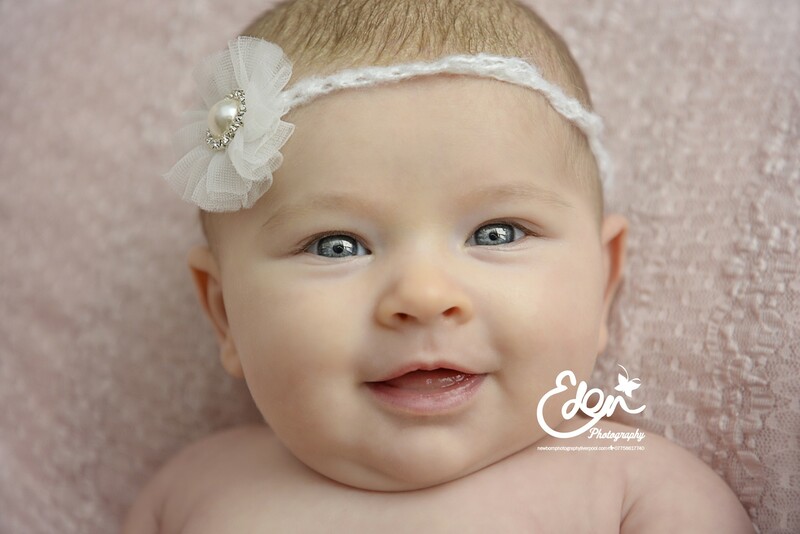 You can see some of our sample of baby portraits below and even more in our baby portrait gallery. If your baby is under a month old you may like to consider our Newborn Photography Liverpool. If you’d like Bump or Family photography you may like to consider our Family Photography Liverpool. 4 digital photographs with print rights only. 8 digital photographs with print rights only. Access to all our accessories and props. Two A2 canvases (15×20 inches) or one A1 canvas (20×30 inches). The best photographs from the session will be beautifully edited and provided in a personalised, online gallery for you choose your canvases from. 12 digital photographs with print rights only. Bringing our mobile studio to you £30. Purchase a Gift Boxed USB drive for the photographs you purchased £35. Beautiful Photocanvases and Prints can be also be purchased, see link for prices.